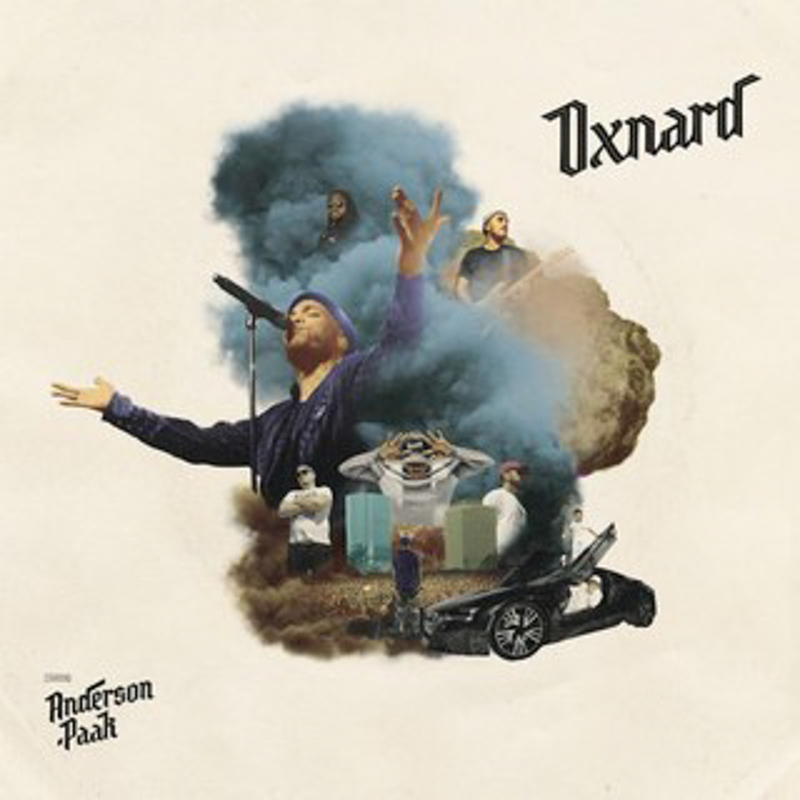 Ventura County native Anderson .Paak’s triple-threat prowess as an instrumentalist, rapper, and singer is showcased on his latest album, Oxnard. .Paak’s punchy drumming and vocal performances are particularly notable throughout his SoCal-infused compositions. .Paak is a vocal chameleon, transforming his vocals from vibrant harmonies on “Sweet Chick” to a raspy, lower register on “Saviers Road.” The rapper strays from the neo-soul that defined his Malibu and Yes Lawd! projects; Dr. Dre’s production dominates the record by incorporating that definitive ’90s g-funk mastery. .Paak changes pace from his usual lighthearted lyricism to address gun control and the Trump presidency, solemnly singing that “reform should’ve came sooner” on the tune “6 Summers.” Although some of the album’s tracks don’t advance the conceptual narrative, Oxnard is as an enjoyable listen and a testament to .Paak’s identity, in which his West Coast loyalty intertwines with his emotional vulnerability.